No. welcomes Canadian France Jobin to the label. The Montreal based artist will release her 9th album on No.. With her release entitled ‘Intrication’, she grapples with some truly cosmic concepts involving Quantum Entanglement (go on, Google it..) amongst other truly magical ideas which physics tend to invent these days. 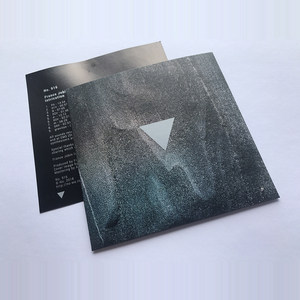 Musically the release can be described as ‘microsound ambient’ but we think it’s much larger than that. It is at once comprised of microscopic sonic particles yet combines that with the warmth we know and love from the ‘Ambient’ cosmos. Whilst the sub atomic particles of noise bounce around your mind, the total work weaves a warm blanket of audio enjoyment on both the micro and macroscopic levels revealing a world at once both too tiny to comprehend and too large to grasp. Presented here as No. 916 for your scientific scrutiny. Cover Image by Mark Hogben.